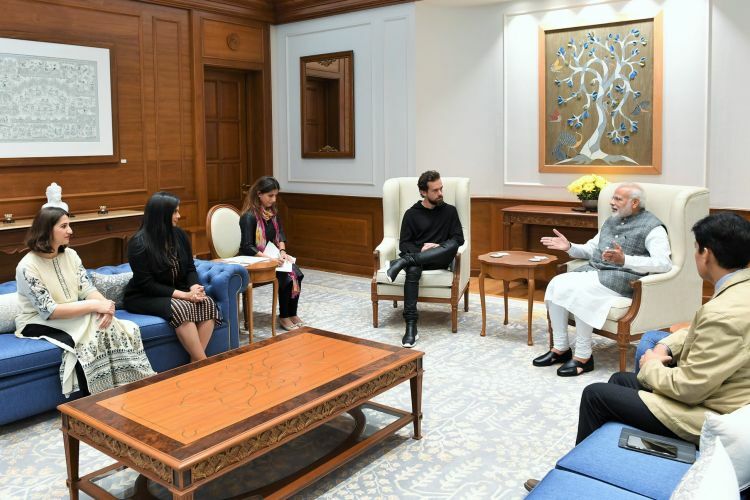 After meeting Twitter CEO and Co-Founder Jack Dorsey on Tuesday, Prime Minister Narendra Modi said that he enjoys being on the platform and has made “great friends” there. Complimenting Dorsey for the passion with which he leads the company, Modi said that he was delighted to meet him. “I enjoy being on this medium, where I’ve made great friends and see everyday the creativity of people,” Modi, who has 44.4 million followers on Twitter, said in a tweet. Dorsey thanked the Prime Minister for his ideas on Twitter. “Thank you Prime Minister @narendramodi for having us today. I enjoyed our conversation about the importance of global conversation,” the Twitter CEO, who is on his maiden week-long India visit, tweeted. The meeting between Prime Minister Modi and Dorsey took place a day after Union Home Secretary Rajiv Gauba on Monday held a meeting with Twitter officials, asking the micro-blogging site to take prompt action over “objectionable” content on the platform. Vijaya Gadde, Global Head of Legal, Policy, Trust and Safety Lead at Twitter, and Mahima Kaul, Indian Representative of Twitter, were asked “to ensure a 24×7 mechanism for prompt disposal of requisitions of law enforcement agencies for deletion of unlawful/objectionable content from their platform“. Dorsey on Monday met Congress President Rahul Gandhi and also addressed a townhall at Indian Institute of Technology-Delhi where he spoke on several issues, including the spread of misinfomation on Twitter. “The real problem is not misinformation per se as jokes can also be categorized as misinfomation. But misinformation that is spread with the intent to mislead people is a real problem,” stressed the Twitter CEO.